Summer is here and school is on pause for now. 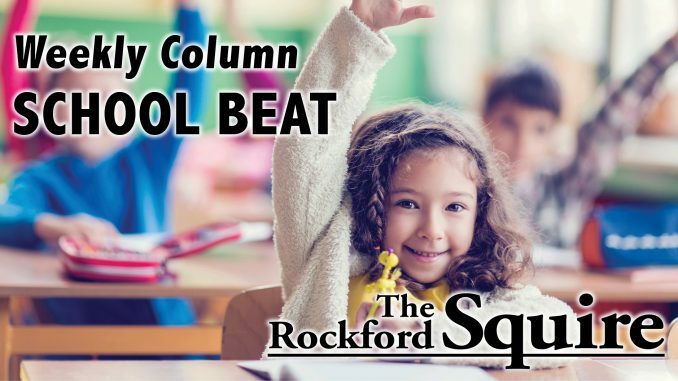 Routines are being transformed, the great outdoors is turning into our classroom, and traditional schoolwork is slipping away from us for a while. Summer break in Michigan is a gift for our families and can certainly be used to provide experiences for our children that will enhance their future learning and build foundational knowledge for the upcoming year. Consider these three domains of summer to enrich the lives of your children and build that foundation of prior knowledge needed for learning new information and making connections. These three things are human connections, exploring new places, and play. As your families find different ways to fill their time this summer, seek out those around you and make those human interactions count. Introduce yourself to a new neighbor, take a road trip and visit former friends, join a club or sport and develop new friendships. Take a risk and talk to kids you may not know at the pool, share compliments with those in the service industry that assist you, write letters to people you miss. Alfred Tennyson stated, “I am a part of all that I have met.” Take time this summer to grow from those you spend time with. There is something magical about discovering new places. Take the time to learn about your own backyard. Rockford is filled with beautiful lakes, parks, and trails that highlight the inner beauty of our landscape. Take a car ride to a city you have never been to and ask the local people what you shouldn’t miss on your visit. Ride your bike down a new path. Find the hidden gem in a small town museum. Discover the “pure” in Michigan. Ask questions about what you see. Journal the places you go. Visiting new places will not only create great memories for your families but will embed new knowledge that will tie directly into future social studies, science, and writing experiences. Never underestimate the power of play! Playtime has multiple benefits, including the opportunity for imagination, investigation, and creativity, as well as learning great social interaction skills. Whether you dump out a bin of Legos or find a bunch of branches in the backyard to build a fort with, you are inviting a child to be expressive and think of ways to build and create. What might happen if you put out a bunch of old prom dresses or work clothes and some silly hats and accessories with a group of kids? What might be discovered if a child gets a bucket and a net and is released to explore their neighborhood? What might be designed with some homemade play dough or a handful of sidewalk chalk? Give kids quality time to play and just watch what happens. As the temperature rises and summer surrounds you, spend time with people, explore new places, and make play a part of your day. 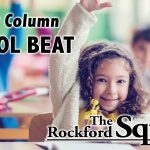 School Beat: Rockford is STEAM’n!